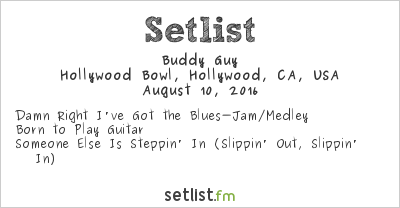 Home > Buddy Guy Returns To The Hollywood Bowl And Brought Funk We Could Smell > Buddy Guy at Hollywood Bowl 8/10/16. Setlist. Buddy Guy at Hollywood Bowl 8/10/16. Setlist.